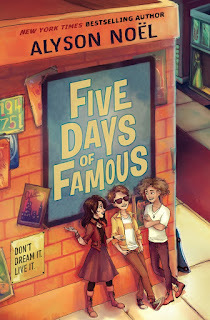 The release date for my new MG, FIVE DAYS of FAMOUS, is less than 3 months away, and I'm thrilled to see that some great reviews are starting to come in! 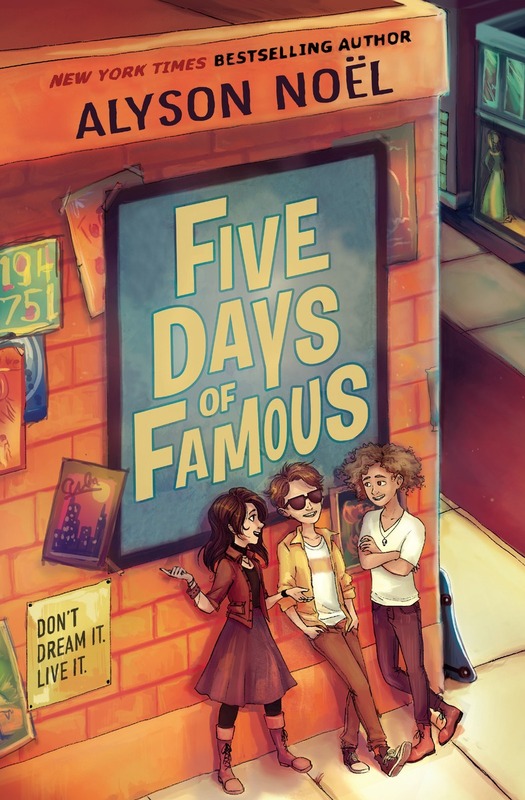 "Noël has crafted a quick, compelling, energetic modern-day fairy tale for every tween who has ever wished for fame. In the delightful vein of Freaky Friday, there is a lesson here about satisfaction and gratitude, but it runs second to a charming, funny, often surprising, and very current Cinder-fella story. This is a Hollywood blockbuster waiting to happen." "Noël writes this Christmas comedy with lots of zing and bubbling humor. . . An amusing Christmas story for preteens." FIVE DAYS of FAMOUS takes place over the Christmas season, and as it will be available in stores on 12.13.16, I happen to think it will make the perfect holiday gift for both the young and young at heart! What would you do if your dream life became reality? A dream is a wish your heart makes . . . when your life is in desperate need of a makeover. Nick Dashaway would know. Either he makes it big this year in seventh grade or he risks being a nobody forever. Enter the Greentree Middle School Talent Show, hosted by teen sensation Josh Frost. The show might just be Nick's ticket out of loserville. But popularity doesn't come easy, and when Nick is forcibly ejected from the stage, he feels like he's out of options. Desperate to avoid a permanent seat at the geek table and continued inattention from the love of his life, Nick chooses the only option he has left: he makes a wish. Be careful what you wish for, the old saying goes—and Nick's about to find out why. Although the book won't hit stores until 12.13.16, you can ensure your copy by preordering now! Buy links are available HERE! I had so much fun writing this book, I hope you all enjoy reading it as well!